For those who can’t wait until lunchtime, we have some tasty options. 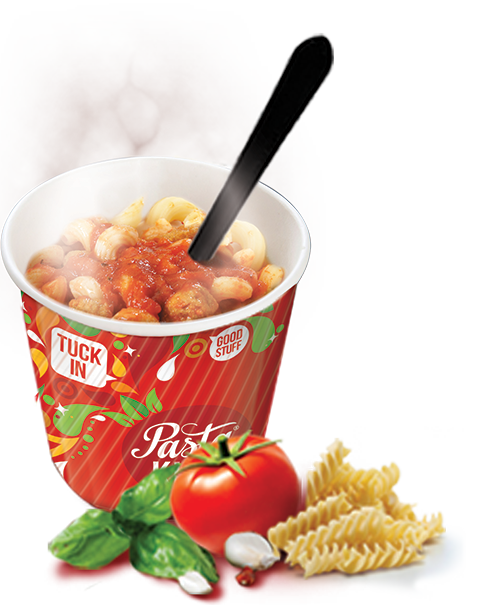 Pasta and sauce meals provide a nutritious, balanced meal, and they are so quick and easy to serve in pots that some people put the pasta bar on at break too. Then there are PK Pockets, a focaccia-style bread pocket and/or pizza snack and bang on trend nachos – available in a selection of meat and veggie flavours. Want to know more about our versatile PK Pockets? Look up or download the nutritional information for all our sauces in the Library.